Welcome back to another week on the blog! 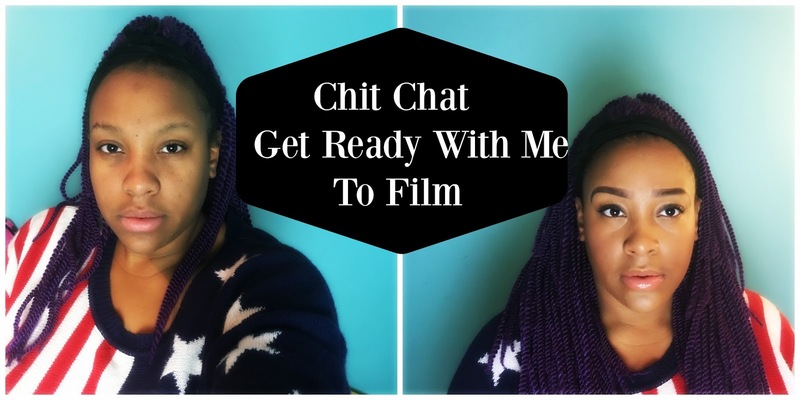 Today I am going to do another Chit Chat get ready with me video! In this edition I am getting ready to film some videos for you ladies! I always love when I get to sit and ramble, so these GRWM videos are always a treat for me! I did my first Chit Chat GRWM back in October. If you want to check that out click here. So lets get into the video! Did you enjoy? I hope you enjoyed rambling with me a bit! My camera and filming situation will change in 2016, and I can’t wait until it does. Better quality videos are coming soon! I hope. (lol) There isn’t much info to put in this blogpost, so its going to be a pretty short one. If you want more details on my hair click here for that blogpost. A more detailed tutorial on how I do my brows can be found here, and you can check out the last blogpost from last week by clicking here. So that’s all for today ladies! Feel free to follow me social media! They are all linked above, and I would love to be connected with you! So until tomorrow ladies, love ya lots like tator tots!